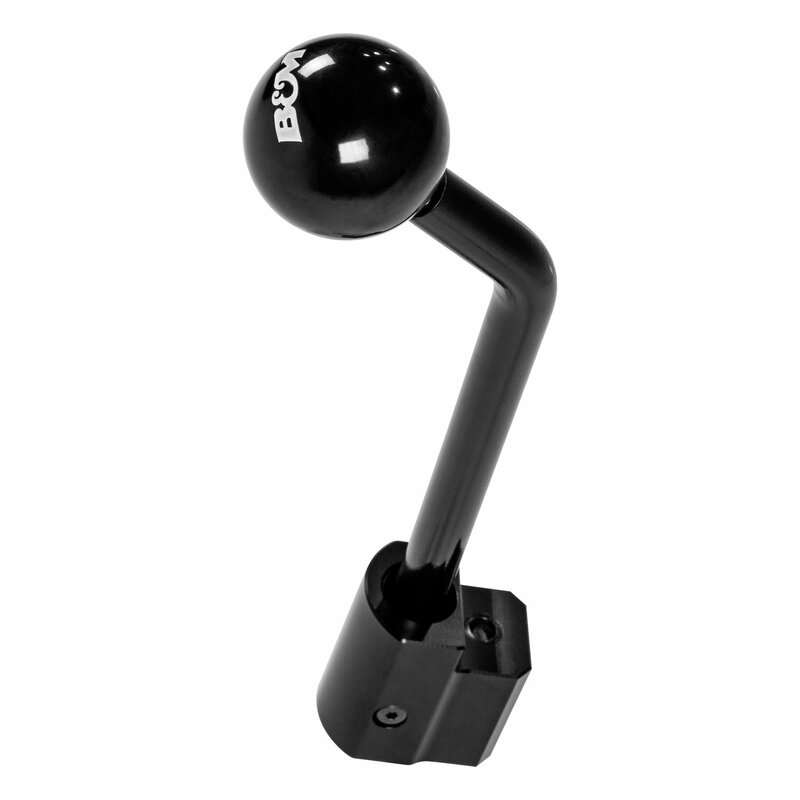 This B&M shifter stick assembly is designed specifically for all 2005-2018 Jeep Wrangler TJ/JK models with 6 speed manual transmissions and can be used as either a direct-replacement of the factory shifter stick, or as the finishing touch when used with our JK Precision SportShifter part #45195. This stick is constructed from high strength 4340 nickel-chromoly steel and features improved bends that provide more shifting leverage and comfort than the factory stick. 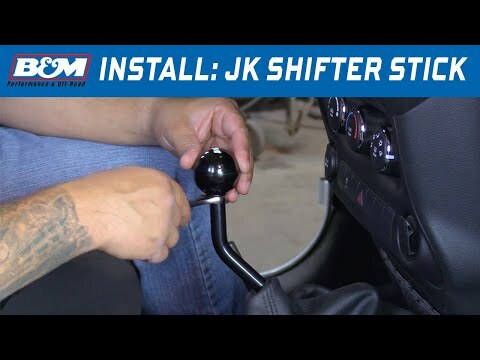 The stock Jeep shift handle has a thick and soft rubber isolator between the shifter and the stick that reduces transmission noise inside of the Jeep, but degrades over time and results in a very "mushy" feel. Our Precision stick features a billet aluminum block with four replaceable rubber o-rings that provide isolation from transmission gear noise and also result in shorter, noticeably firmer and more positive shifts. 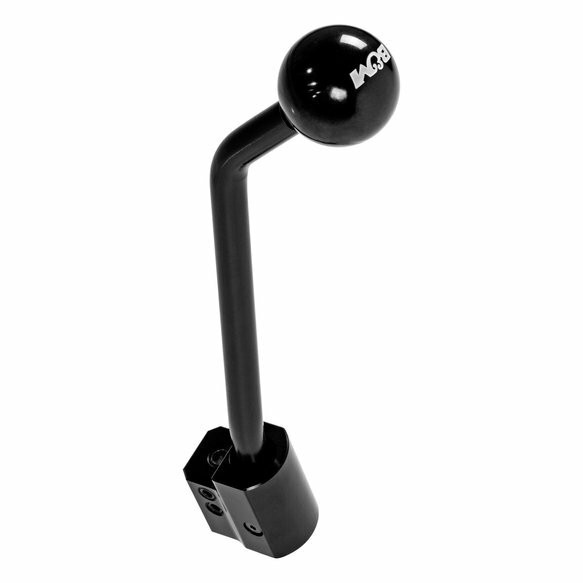 The shift handle is finished off with a durable black e-coat and topped with a black round B&M logo engraved shift knob showing that you take off-road performance seriously. 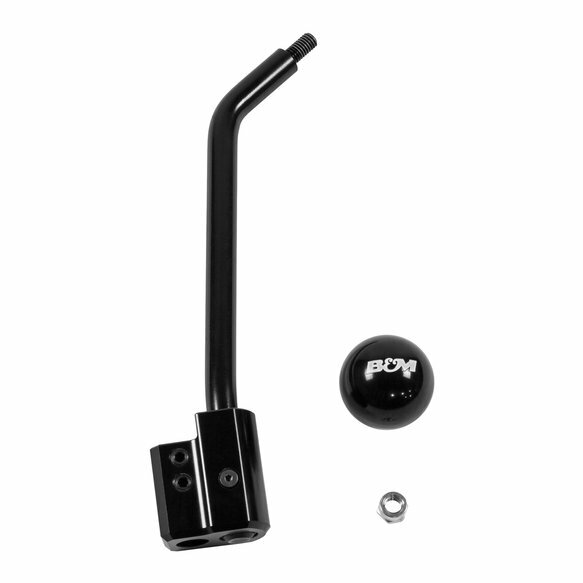 The stick features a 3/8 x 16 thread pattern so you can also customize the look of your shifter with other styles and colors of shift knobs.